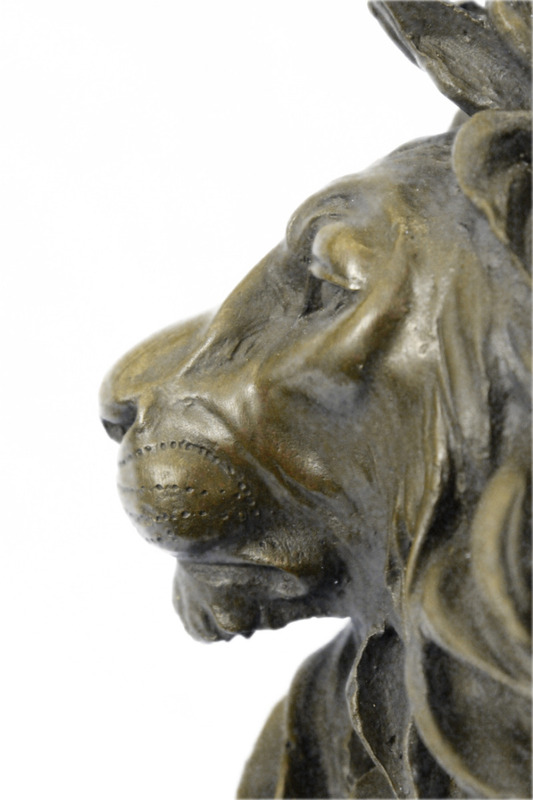 With Piercing Eyes And A Serious Look This Lion Is Intimidating Just By Glance. 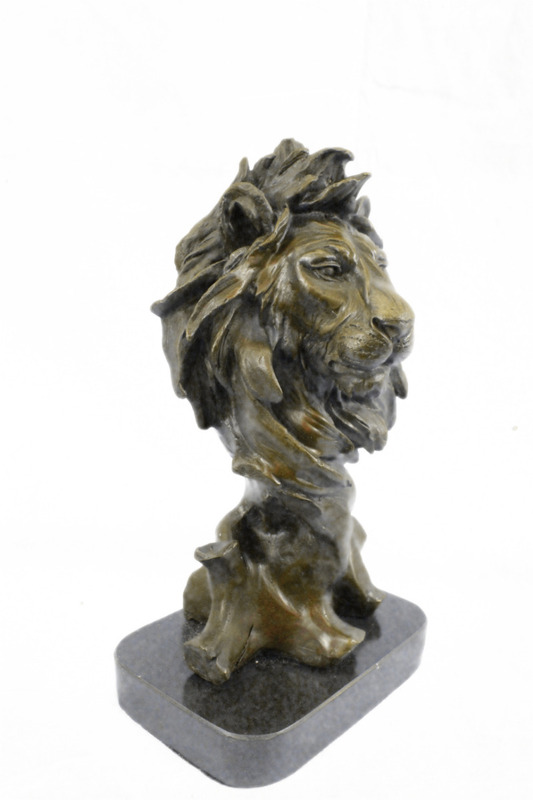 The Exotic Lion Bust Sculpture Expertly Captures The Majesty Of This Noble Lord Of The Jungle And Savannah. 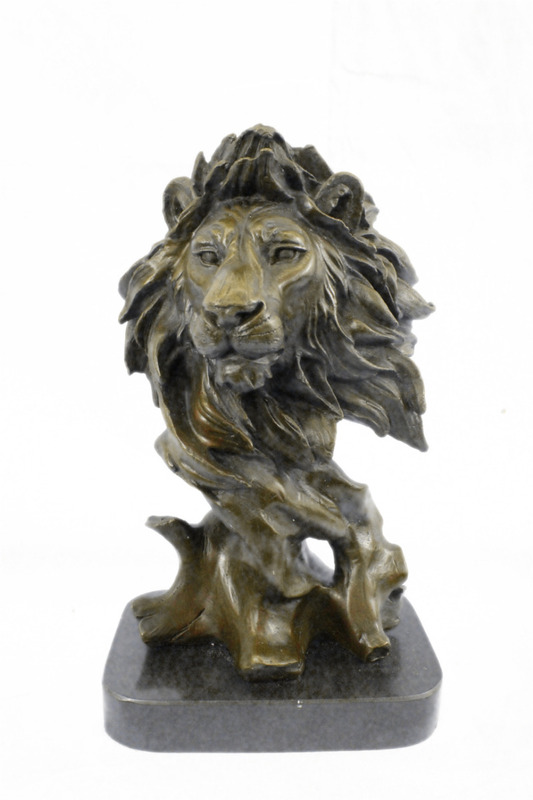 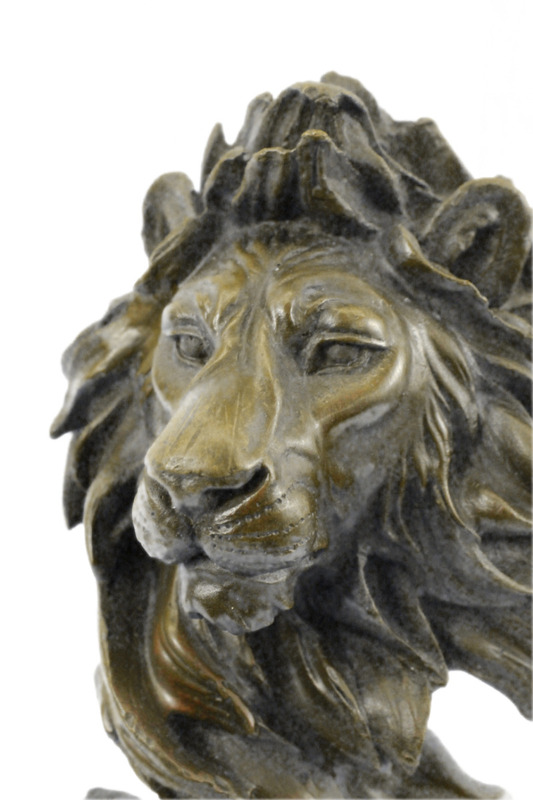 Handcrafted Bronze Animal Sculpture Depicts A Lion, Its Proud Face Seeming To Spring Right Out Of The Twists Of Deadwood That Serve As Its Base.He Has An Unmovable Stance And A Striking Look. 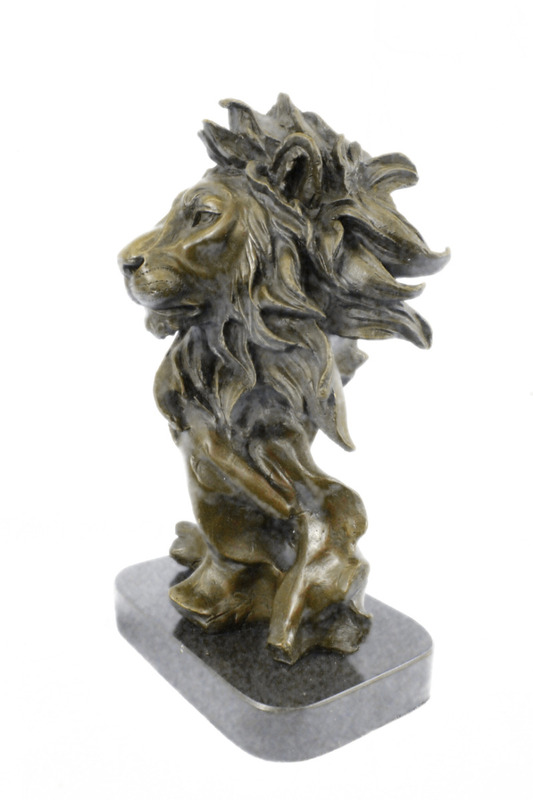 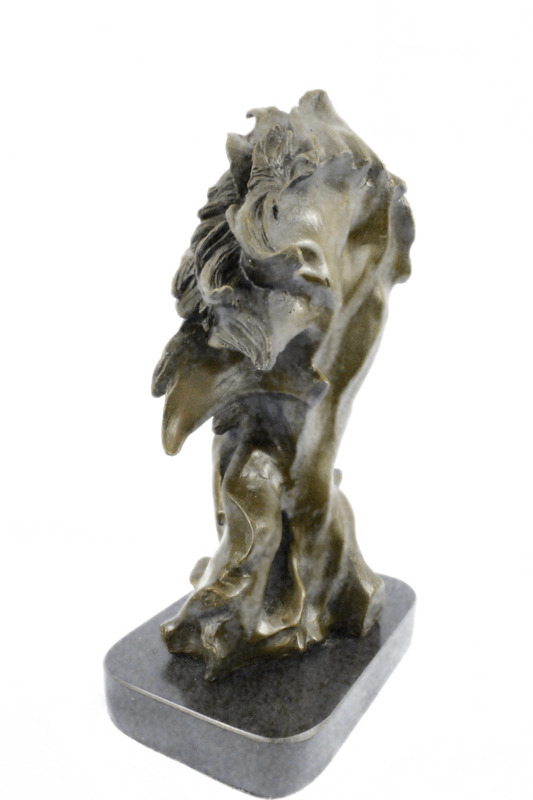 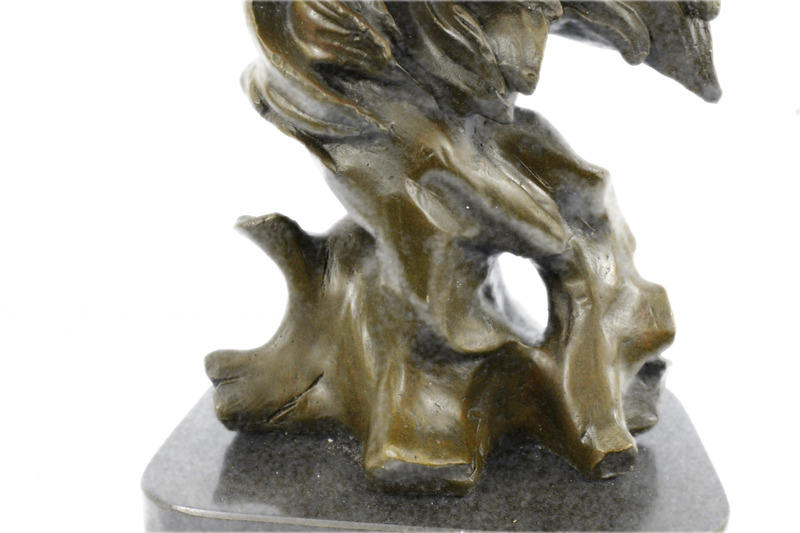 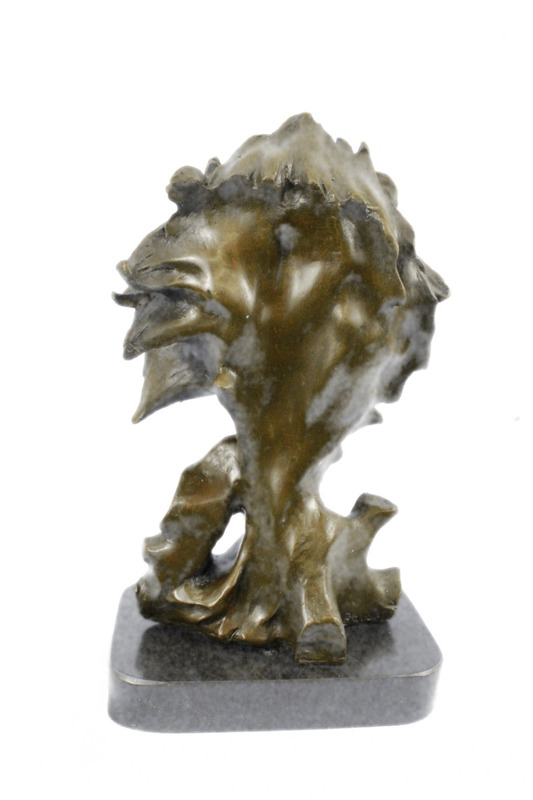 This Bronze Sculpture Was Cast Using The “Lost Wax Method” And Is Mounted On A Black Marble Base. 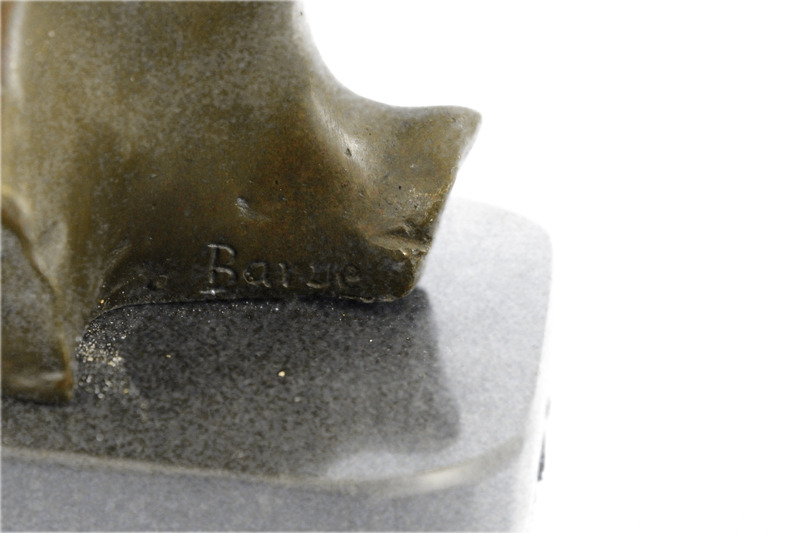 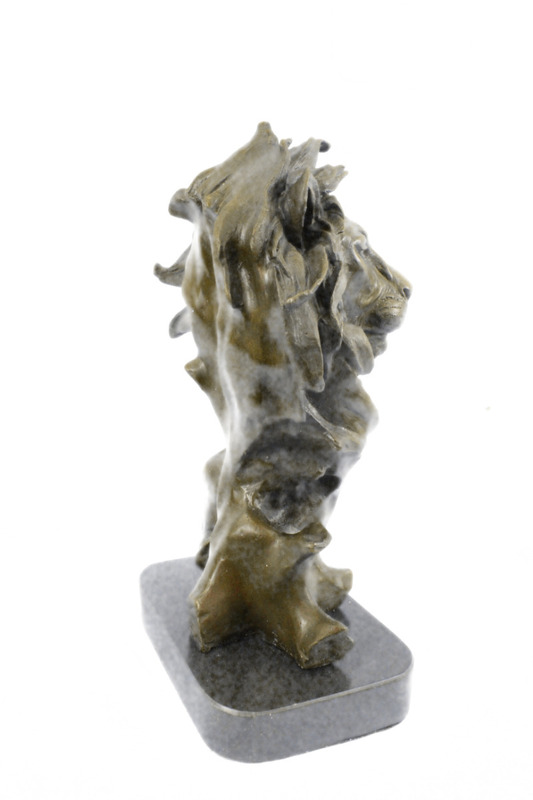 This Sculpture Has A Two Tone Brown Patina And Is Signed Mavchi.